The “Song List” page has been COMPLETED. Enjoy and God Bless! I would like to thank all of our most recent submitters. I’ve been very busy lately, and this makes me extremely happy. I’m sure Carl is smiling from his Heavenly perch. Latest news… I’ve been working on a song list page and hope to have it up soon. The page will be accessible although not all functionality will be in place. This will be a work-in-progress. God Bless to all, and I hope you have enjoyed the website. I thought it would be fun to add a page where I could post some personal thoughts, opinions, project updates and other minutiae, so here it is. First, thanks to all who have contributed to the site. It’s great to hear the music that you are creating and to know that it’s out there for the world to share. Thanks to all who have visited the site and downloaded songs and sheet music! I wish that you’d take a minute and provide some feedback to the song-writers, it would mean a lot to them to hear from you! Carl J. Schroeder, 68, passed into the arms of our Lord just after midnight on Saturday, October 1st, 2016 after a 7 1/2 month battle with lung cancer. He was my dear friend and will be missed beyond imagination. God Bless! I reorganized the site today. “The Music” page was getting too long and a lot of scrolling was required to get to new submitters. Space for info about songwriters had to be limited. The fix has been to create a new page “Songwriters and their Music” which contains the songwriters names with links to their music and links to new pages containing their “About Me” info. A link to the alpha list page is also included. Songwriters can now provide more info without the limitations of the old page. There’s also room for photos! I wish you all a Happy and Blessed New Year! Since the last ramble, I spent three weeks hosting a couple of very nasty bugs that took me out of commission for most of December. I won’t regale you with the gruesome details, just want you to know how grateful I am for God’s healing hand and the many prayers offered on my behalf. Finally getting caught up with updating the site and am very excited about the potential of the new year! I’ve heard that the best way to make God laugh is to make a plan. The surgery planned for Dec. 16th has now been postponed, due to some high blood pressure readings. So now we formulate a new plan! I hope you all had a blessed Thanksgiving! We are blessed in so many ways that every day should be a day of thanksgiving to God. 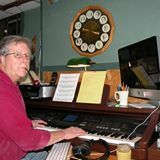 Among my many blessings has been the connections that I’ve made, through this website, with Christian song-writers from around the world. December 16th, the day before my birthday, I’m scheduled for another major surgery, so there may be a few weeks where the I’ll be unable to keep the site up to date, but I have faith that God will see me through and I’ll get caught up as soon as I can. As always, I welcome all the prayers I can get! God Bless! And a Very Merry Christmas to you all! The site continues to grow and there have been some exciting new submissions! I’m constantly looking for ways to improve the site and would welcome your suggestions. Please spread the word and let your friends know what we have to offer. A heartfelt welcome to Russell Poulin, Jason Hinton and Benjamin Harrell our newest submitters! Made it successfully through the site migration with the life-saving help of Lisa Montagna of Dimensions Web Design, my goto person when I hit the wall. I’m very excited to welcome to our site, Kelly Manu, a singer/songwriter with many accolades! Find her on The Music page to see her accomplishments. The goal of this site is to share original Christian music, whether for listening or performing. To enhance the possibilities for songs being performed, I am encouraging submitters to provide accompaniment tracks for their songs. I’ll be working to provide accompaniment tracks for most of my songs, over the next few weeks. Watch for them to start showing up! You gotta love the way God works! Just as I was feeling that the site was bogging down, Dean Caffee and Mark Smithey submitted new music. Do yourself a great favor and listen and download this new music! Got Snow? If not, let me know and I’d be happy to send you some. I’m not sure if it’s the unusual winter or not, but the site has been quite peaceful for the last month. If you are a submitter or simply visiting, please consider sharing this site on your own website or social media pages. If you have a church newsletter, let your congregation know about us. Forty-eight hours and twenty-four hours of work later and the download issue is fixed! All downloads are again available! My apologies for the disruption and thanks for your patience and prayers! This entry should be under the heading of Carl’s rantings! A software update of “WP Download Manager” was a total disaster, not only eliminating all download links, but behaving like an entirely different program! Every item that was available for download must be reprogrammed! I can feel the muscles seizing up already! My apologies to visitors and submitters alike! A new plug-in has been installed and rebuilding will commence immediately! At least you can still listen to the music! A Happy and Blessed New Year to you all! Welcome to Kent Flowers and Walter Greenleaf our newest contributors. I really like Kent’s song and am looking forward to more submissions from him. Back in October I promised some music with a “Country” or “Southern Gospel” flavor, Walter Greenleaf’s music fulfills that promise! It’s been pretty quiet on the site as far as new submissions go, but traffic has been good. We’re gradually filling in the world map with visitors. In the last 30 days Brazil has topped the list of new visitors! I’m going to start posting new songs and my Ramblings with the newest at the top of the page to save you all a lot of scrolling. The Christmas CD is done and being distributed – 100 copies out there so far! We’ve been working on a Christmas CD and it’s slowly coming together, but some upcoming surgery is likely to delay the project past this year’s Christmas deadline. As always, it’s in God’s loving hands. I’d like to welcome Dorothy Herbert, John Babine and Scott Briggs as the newest contributors! Wish I could find a way to add a counter to the play bars. It would be great to know how many have listened to the songs. 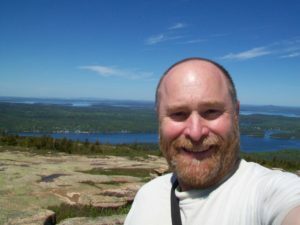 Recently joined an online forum at christiansongwriters.org. It looks like a great resource, but I haven’t had time to contribute much yet. Looking forward to getting some help with a few pesky songs that just won’t come together. After almost a year of pain and almost every antibiotic that the doctors could think up, the Good Lord and the prayers of so many loving friends have brought me through a rather major surgery. Now it’s time to recover so I can get back to work. I thank God for His love, healing touch and the opportunity to share our music and testimony with several people, while in the hospital. It’s good to be healed enough to get back to working on the site and new music. It looks like the Christmas CD may yet be possible! I’m really happy to be able to start posting lead sheets for C.J. Faris’ music. I’m sure that they will become popular downloads! For those of you who like music with a country flavor, I expect to be posting two CDs worth of music in the near future.